Most people focus on cleansing, toning and moisturizing when it comes to daily care routine, but totally ignore or forget about exfoliating. Most dermatologist emphasize on the importance of exfoliating the skin because it is the best answer to the common question of how to revive a dull skin tone. Weekly exfoliation using natural ingredients like Bengal gram flour, oats or even orange peel can help remove dead cells, dust, impurities and blackheads from the skin and make it feel smooth and look beautiful. I bet that you’ve read this tip over and over and there’s good reason for that. Ultraviolet rays emitted by the sun are the culprits behind many types of skin conditions including melanoma, widely known as skin cancer. Using a sunscreen is the best way to protect your skin from the damaging sun rays and help keep your skin looking fresh and youthful. But don't fully rely on sunscreen, also don't forget to cover your exposed skin by wearing long-sleeved shirts and pant and stay indoor during noon. You might not be aware of this, but changing your products regularly can be counterproductive. If you chose one product, give it a chance to show it's effectiveness. Finish the entire tube or bottle of a skincare potion before you decide where to continue using it or move to another. However, if you've experience any side effects from the product such as swelling, redness stop using it immediately and seek a medical help. A gentle facial massage with oils could do wonders. Depending on your skin type, you could choose from psiridala or Narayana taila. Oils from mustard, coconut, almond or Kumkadi are excellent nourishing agents which helps to get glowing skin. Also take a regular rest from work and spend time with family and free. That will not only help relieve your stress but also bring about a better skin complexion. Staying away from hazy or smoky environments is smart choice. Being exposed to smoke can lead to the release of free radicals that damage skin and accelerate aging. Also, other indoor pollutants can adversely affect skin, too. Make sure to change the air filter in your furnace regularly, and if you cook with oil, use the fan over your range. Nothing is easier to do than sleeping. Your skin repairs and rejuvenates itself while you sleep peacefully on your bed. Having a regular sleep also reduces the chance of getting under-eye dark circles as well as improve your body's blood circulation, a process that highly effect your skin's aging process. If you've followed all of the tips above yet your skin's color and tone don't seem to get any natural, consider booking an appointment with Dr. Jeswender. 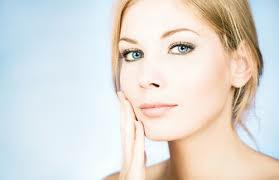 You may also ask him any question regarding different types of skin disorders and their respective treatments.